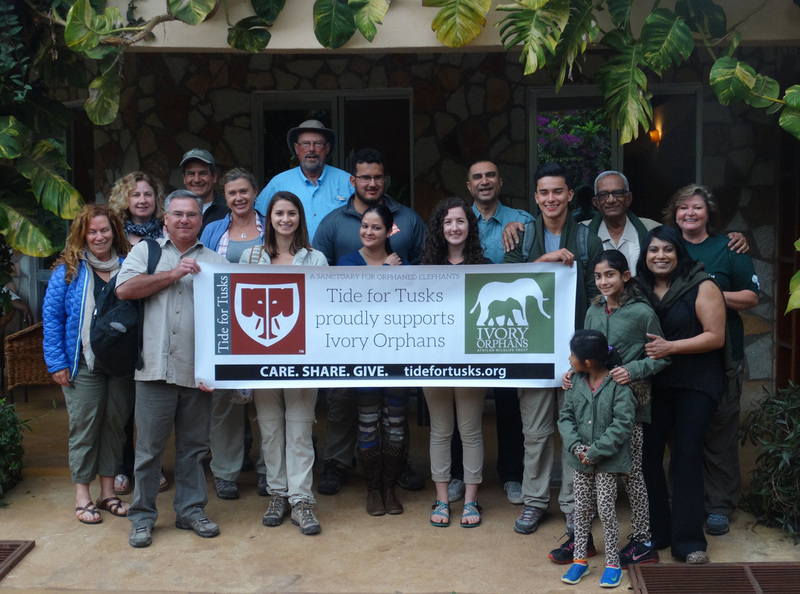 Arusha, Tanzania - During a recent trip to Tanzania, a team from the University of Alabama spent 12 days roaming across the country through some of the most remote and pristine areas in search of elephants. Having gained its independence in 1961, Tanzania has a history of being “the place to go” for eco-tourism and photographic safaris dating back to the 19th century with early expeditions led by Livingston and Stanley. 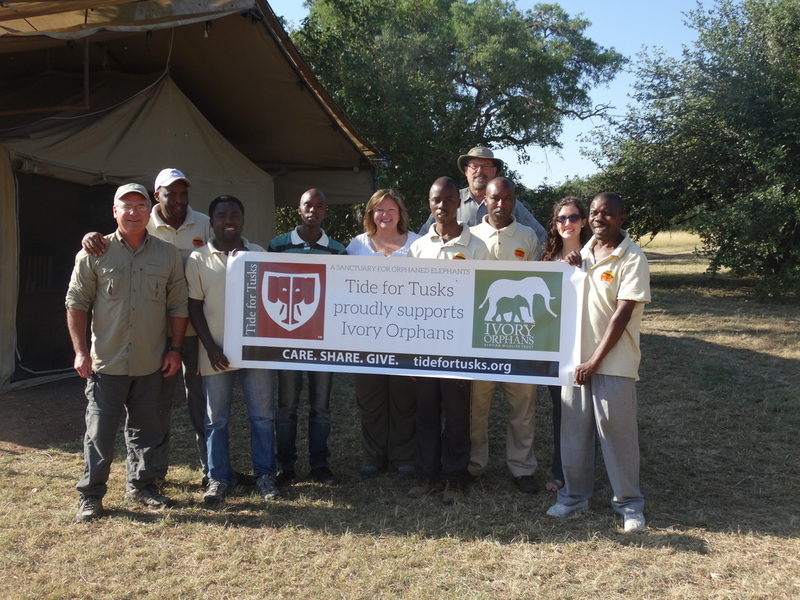 This 2015 exploratory journey was no less rewarding and proved to be quite satisfactory for the group representing UA Tide For Tusks. The survival of the African elephant hangs in balance as a surge in poaching threatens to annihilate the species across the continent. Both the forest elephant and the savannah elephant face devastating declines in population and the threat of extermination is immanent. Recent studies indicate that the death rate now exceeds the birth rate raising fears that the carnage is much worse than expected and extinction could very well occur in the next decade. 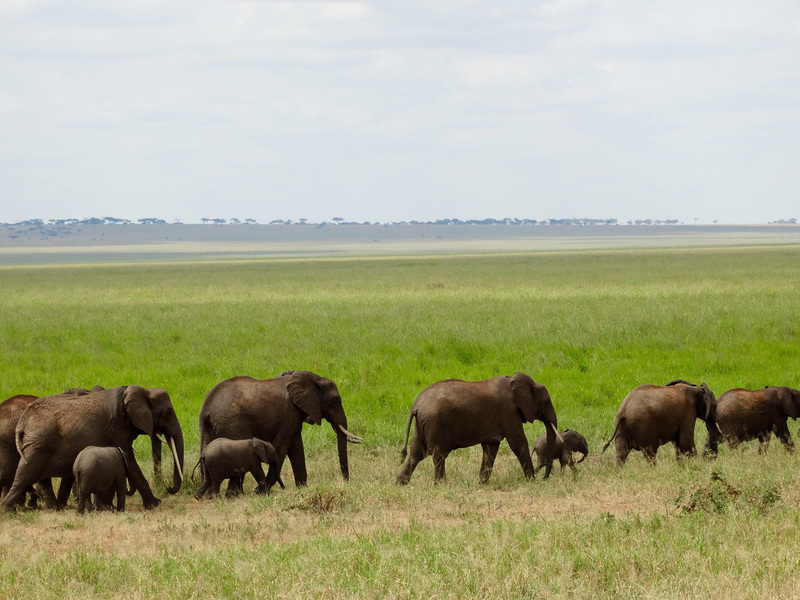 The current situation for elephants in Tanzania is dire. According to some reports the county has lost more than half of its elephant populations in the last five years and two-thirds since 2006. Evidence reveals that Tanzania has lost more elephants to poaching than any other country in Africa and is the largest source for illegal ivory trade. The mighty herds that once roamed the plains are being slaughtered ruthlessly leaving behind a wake of death and orphaned calves left to their own demise. For this reason, Pratik Patel, the president and CEO of the African Wildlife Trust/Ivory Orphans felt the urgent need to bring a contingency representing Tide For Tusks to see first-hand what is at risk. 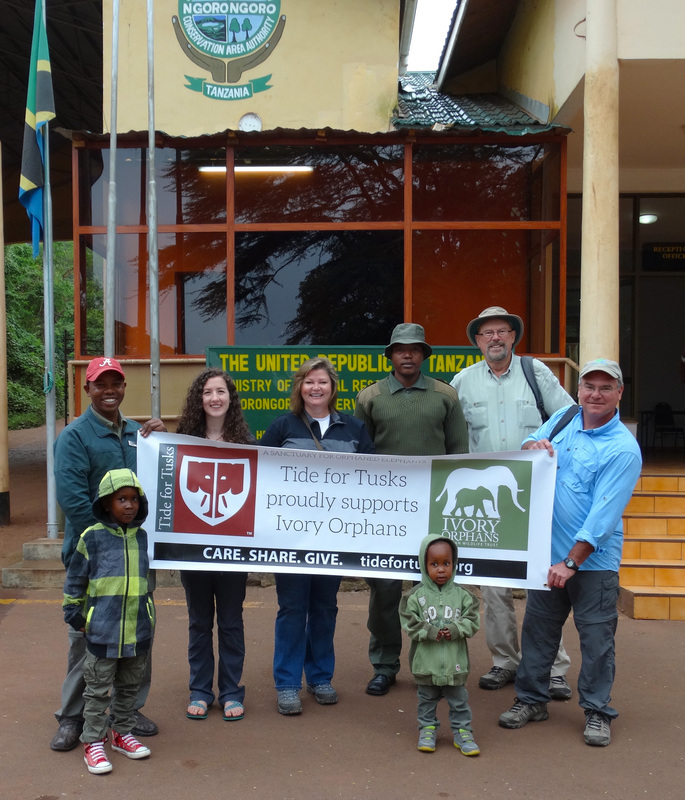 Through this newly formed partnership between the University of Alabama Tide For Tusks program and the African Wildlife Trust, UA students will have the opportunity to identify and carry out projects that will bring about awareness for the need of elephant conservation in Tanzania and stop the poaching of wildlife. On an exploratory visit, Tide for Tusks board members and UA Alumni, Randy Mecredy and Reata Strickland, were joined by UA faculty, Dr. John Latta, and student, Maddie Khuri. 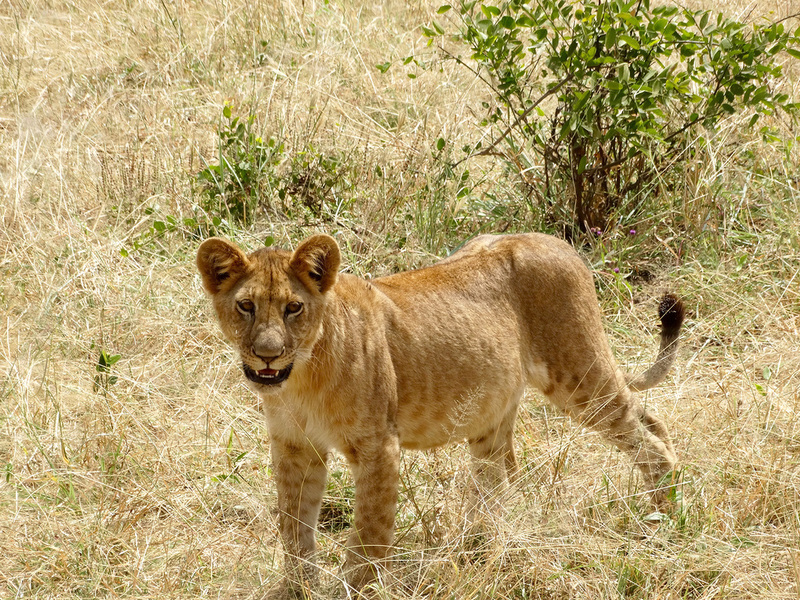 Through the generosity and support of Safari Legacy, a family run travel company creating legendary safari experiences since 1967, the team had the opportunity to visit some of Tanzania’s most prominent national parks and conservation areas. Their host and sponsor, Mr. Chiman Patel, accompanied them during their travel and offered many insights and opportunities that are not usually available to the average tourists. Arusha National Park - Situated on the outskirts of Arusha, the safari capital of Tanzania, Arusha National Park offers a diversity of habitats to explore in short range and is often overlooked by many travelers. Though not a large game reserve, with Mt. Meru (standing at 14,990 feet) dominating the horizon the scenery is spectacular. The peaks and eastern slopes of the mountain are within the park and offer excellent views of the surrounding area. Having passed through the gates into a wooded savanna we immediately encounter buffalo, zebras, warthogs, and bush buck. Ascending along the slopes into the shadowy forest at the foot of the mountain, we easily view the black and white colobus monkey, an endangered species, baboons, and scores of colorful turacos and sunbirds. The forest gives way to the spectacular Ngurdoto Crater with steep, rocky cliffs towering above a spongy, wetland bottom that is dotted by herds of buffalo and warthogs. Driving further to the north, the landscape changes to grassy hills that surround the splendid beauty of Momela Lakes, fringed in pink with thousands of flamingos and accentuated by migrant waterfowl. A waterbuck crosses our path and disappears into the thick brush among the white ibis and hornbill birds picking their way up from the edge of the water. 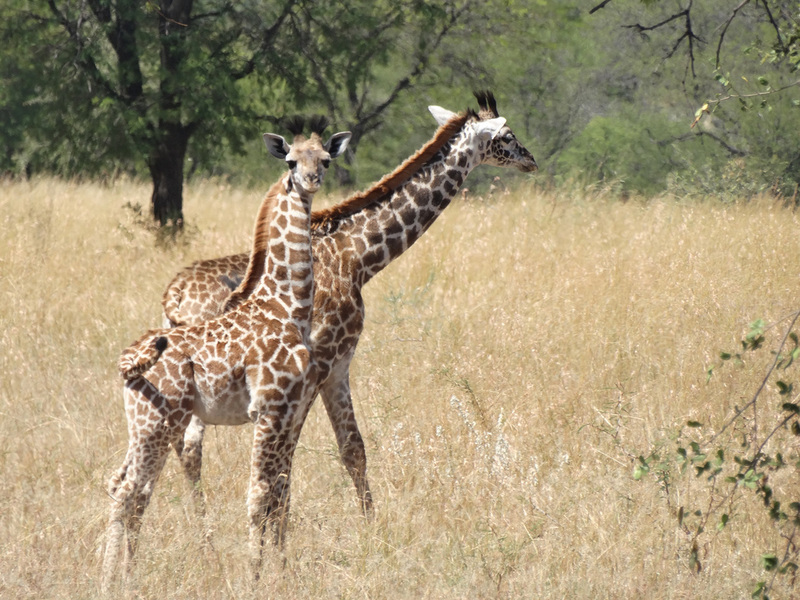 Although absent of elephants and lions, Arusha National Park proved to be a jewel for a day-long game drive. 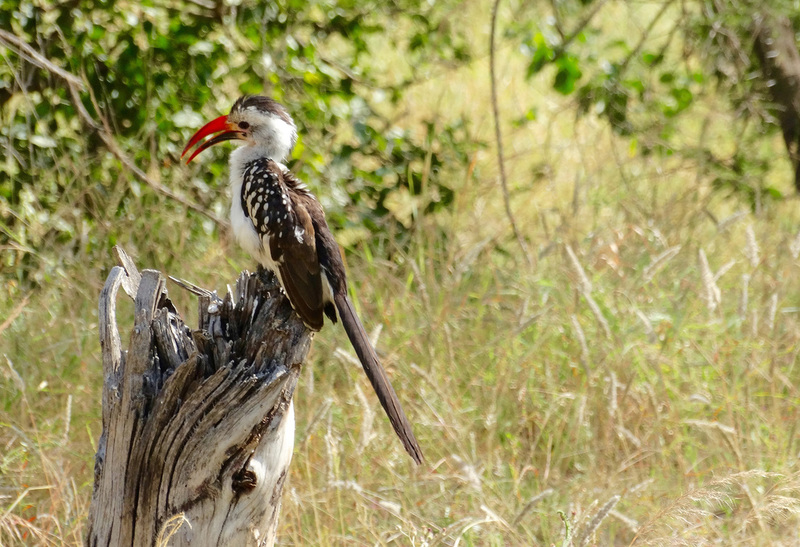 Tarangire National Park – Only a two hour drive from Arusha, Tarangire is a paradise for the ardent bird watcher. With more than 550 varieties, the park boasts to have more breeding species in one habitat than anywhere else in the world. Immediately, we are greeted by the dazzling color of the yellow-collared lovebird, lavender breasted rollers, and superior starlings. The sounds of songbirds drift through the still air and the call of the ringed dove can be heard above all - often mimicked as “work harder, drink lager.” In drier areas we found the Kori bustard, guinea fowl, ostrich, hornbill, secretary bird, sand grouse, shrike, eagles, buzzards, kites, and flyaway birds, to name a few. But, it was the scores of elephants that most intrigued our party. The hot, African sun sucked most of the moisture from the surrounding landscape, leaving the Tarangire River with only a trickle of water, but teeming with wildlife. The gentle giants roam across parched highlands knowing that in the valley there is always water – though often invisible as an underground stream in the dry season. 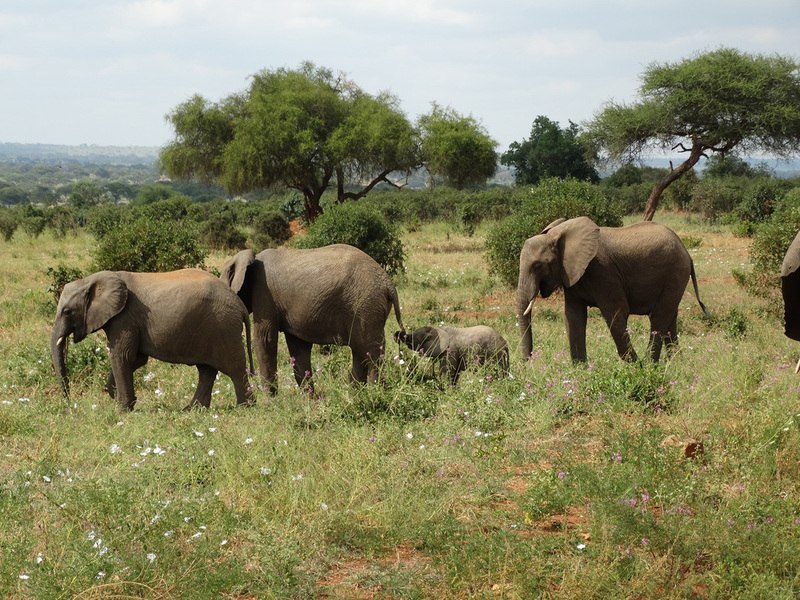 Breeding herds of elephants are easily encountered as they scratch the dry riverbed, bathe in the pools, and frolic along the banks with young calves running between the legs of their mother in search of shade and safety. 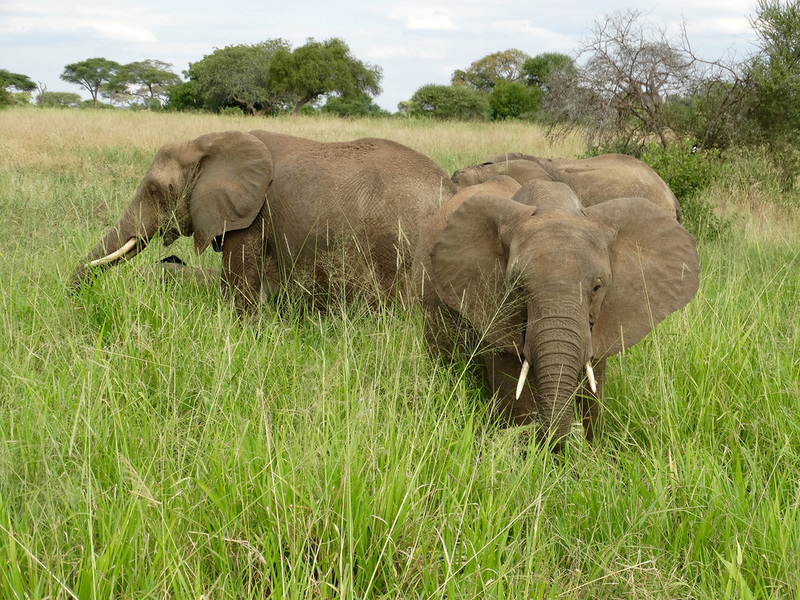 Through the tall, green tinged edge of a wetland, hundreds of elephants are observed grazing on the smorgasbord of grasses, along with giraffes, and buffalo. 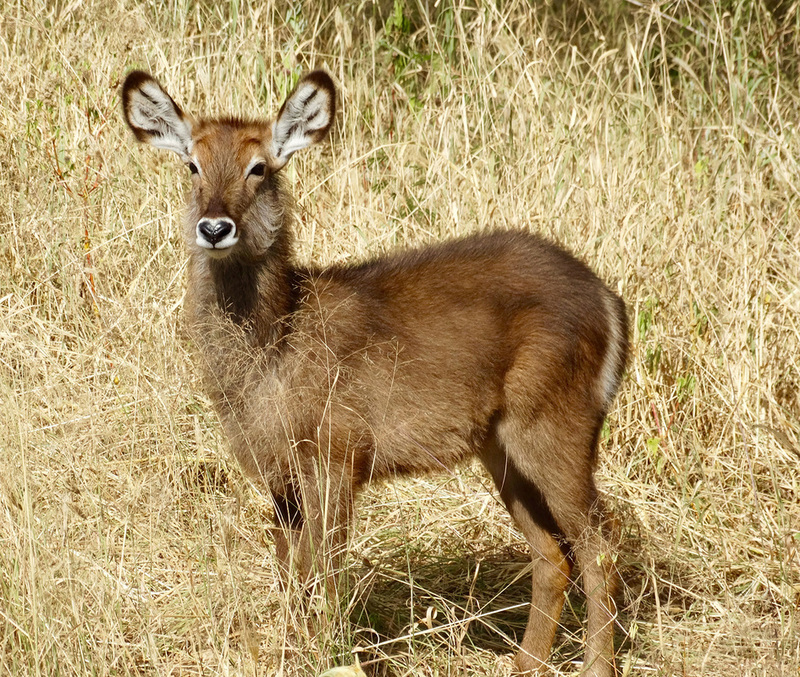 Impala, gazelle, wildebeest, hartebeest, zebra, eland, hyenas, dik-dik, baboons, black-faced velvet monkeys, lions and the occasional leopard are spotted near shrinking ponds and among the dry, straw grass of the savanna. Tarangire has the largest concentration of wildlife outside of the Serengeti ecosystem with mobs of elephants and if good fortune is really on your side, then perhaps you too may see the green mamba (nicknamed the coffin snake) silently stretched out on the limb of a marula fruit tree. Ngorongoro Crater – Dedicated as a World Heritage Site and one of the most famous safari destinations in Tanzania, Ngorongoro Crater offers the opportunity of seeing all of the “Big Five” in one game drive. Having the largest intact caldera in the world, the crater walls support a variety of habitats including that of the hippo and it has a high concentration of lion populations due to the availability of food. The elephant, rhino, buffalo, leopard, and lion may all be seen within the 100 square miles of game viewing. Enshrouded in mist and clouds in the morning, the crater rim clears off in the evening and offers an incredible view the African plains unfolding on the endless horizon. The Masai tribesman are an integral part of the landscape and are often seen with their cattle and livestock grazing the slopes of the crater. 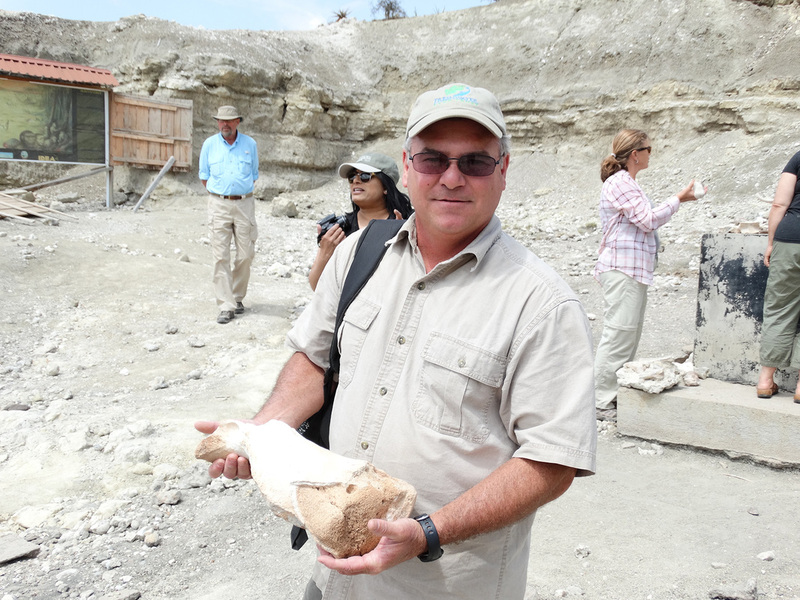 Oldupai (Olduvai) Gorge – Labeled as one of the most important anthropological sites in the world, Oldupai (which is the Masai word for sisal) has served as an important key to understanding early human evolution. Located in a ravine in the Great Rift Valley that stretches across East Africa, the first early human species is believed to have occupied the site 1.9 million years ago with Homo sapiens appearing about 17,000 years. Revealed through the finding of stone tools that were produced and used in the area, the site provides significant information about the complexity of early humans. The combination of tools and concentration of animal remains is an indication of the increased cognitive capacities and social interaction among this species. The fossil records are an important discovery that led researchers to believe that Oldupai Gorge held critical information about the origins of humans. Serengeti National Park - Recently proclaimed as the seventh wonder in the world, the Serengeti is Tanzania’s oldest and most popular national park and is famed for the migration of wildebeest, zebras and Thomson’s gazelle. Thousands of eland, topi, kongoni, impala and Grant’s gazelle are seen grazing on the open plains among smaller herds of giraffe, buffalo and elephants. A pride of lions is seen basking in the morning sun, a leopard sleeps in the branches of a sausage tree, and crocodiles line the banks of the Seronera River, with pods of hippos popping up in the deep pools. A Nile monitor scurries across the sand and disappears into the tall grass as a heron watches from its perch among the rocks in the river. Dotted across the landscape, a spectacle of small mammals may be viewed among the granite outcroppings called koppies, including the hyrax (a distant relative of the elephant), mongoose, and cliff springers along with the elusive aardwolf and beautiful serval cat. The grandness of the Serengeti is only reveled by the splendid beauty of a spectacular sunset over the shimmering golden African savannah. The sky is painted in lilac purple, fiery pink, and bathed in lavender, fading to lemon yellow, with a burst of orange dropping over the horizon. Simply magical and one of only the many wonders to be seen in the Serengeti!